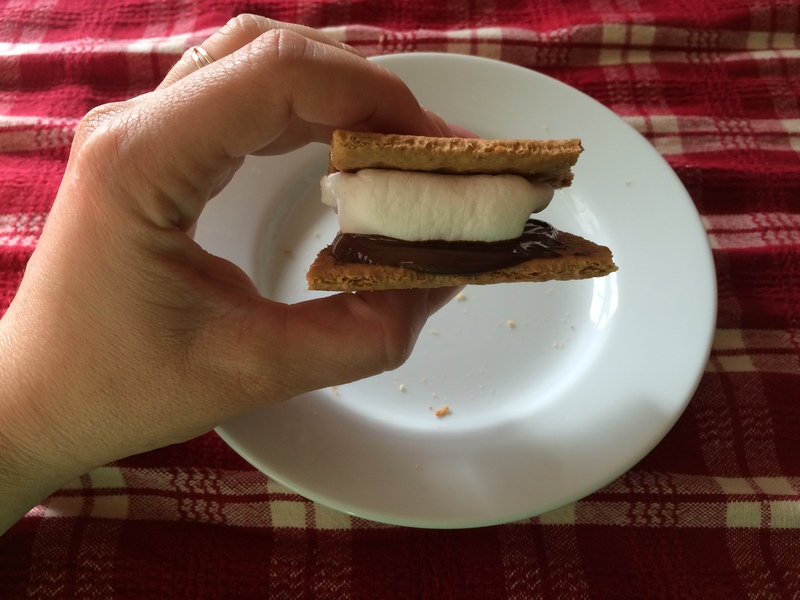 S’mores are the perfect crossover dessert (suitable around a summer campfire and on chilly evenings), which is why, perhaps, I start craving them toward the end of August / beginning of September. I make them at home, under the broiler, which is ridiculously (perhaps even dangerously) quick and easy. I also like to use chocolate hazelnut spread instead of melting a chocolate square, to control consistency (and because, hello, chocolate hazelnut spread). Break a graham cracker in half. Place one half on an aluminum foil-lined cookie sheet, and top with a marshmallow. I am vegetarian, so like to use these (which are vegan and do not contain gelatin). Set under the broiler. Keep a close eye on your marshmallow, as they very rapidly can turn from fresh to charred. In my oven, it takes only 2-3 minutes to achieve a perfect toasty brown. 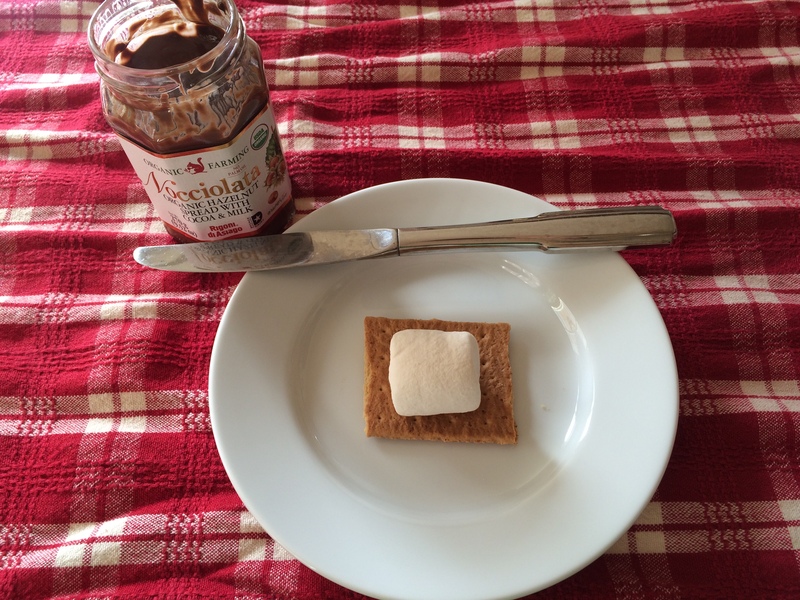 While your marshmallow is toasting, spread the other graham cracker half with your favorite chocolate hazelnut spread. Sandwich the two halves together. What about you? 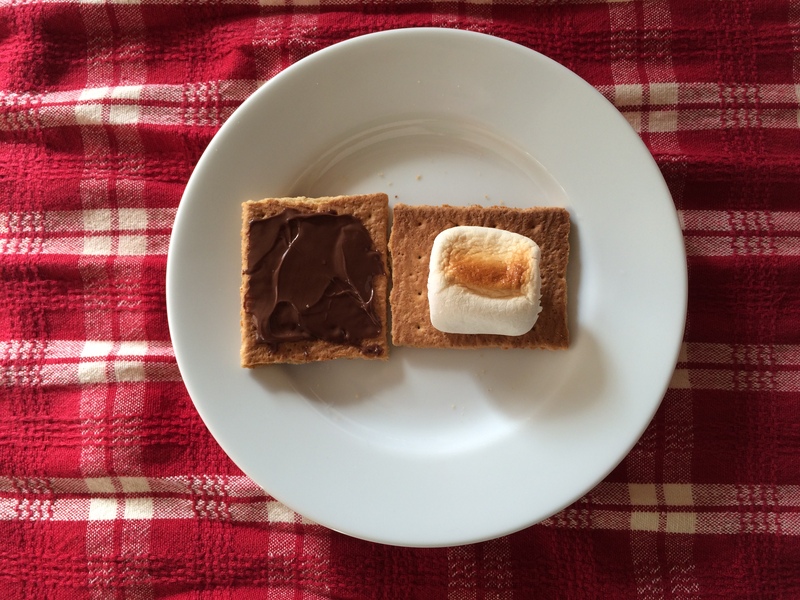 Do you have a favorite s’more technique? How are you savoring these last few weeks of summer? Delicious. I’ve never had a s’more so I’m definitely going to try this! Maybe I’ll make them to celebrate when my partner and I get our greencards.